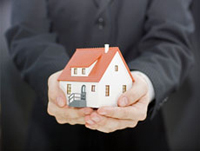 We offer a full range of Atlanta property management services tailored to you as an investor, homeowner, or landlord. We have an extensive portfolio of single family homes, townhouses, condos, and apartments in the Atlanta area. Are you stressed out over your tenants not paying? Are your properties taking up too much of your free time? Are you moving out of the state? Is your current Atlanta management company letting you down? 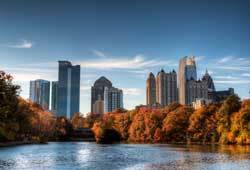 Atlanta has a reputation as the "city in a forest" due to an abundance of trees that is unique among major cities. The city’s main street is named after a tree, and beyond the Downtown, Midtown, and Buckhead business districts, the skyline gives way to a dense canopy of woods that spreads into the suburbs. The city is home to the Atlanta Dogwood Festival, an annual arts and crafts festival held one weekend during early April, when the native dogwoods are in bloom. However, the nickname is also factually accurate, as the city’s tree coverage percentage is at 36%, the highest out of all major American cities, and above the national average of 27%. Atlanta’s tree coverage does not go unnoticed—it was the main reason cited by ‘‘National Geographic’’ in naming Atlanta a "Place of a Lifetime". Atlanta is home to professional franchises for three major team sports: the Atlanta Braves of Major League Baseball, the Atlanta Hawks of the National Basketball Association, and the Atlanta Falcons of the National Football League. The Braves, who moved to Atlanta in 1966, are the oldest continually operating professional sports franchise in the United States.